Adjust the default settings of your iPad's on-screen keyboard to modify the keyboard layout, the keyboard type, predictive typing, and auto-correct function. Open your iPad's Settings app. On the left-side menu, choose General to display the general-purpose device settings on the right side of the screen. Scroll down the right side of the screen until you see Keyboard, then tap that item to activate the keyboard-settings menu. The iPad keyboard settings help you customize your iPad by turning off auto-correction, choosing an international keyboard or even setting up keyboard shortcuts. Keyboards. The first option might seem a little confusing. 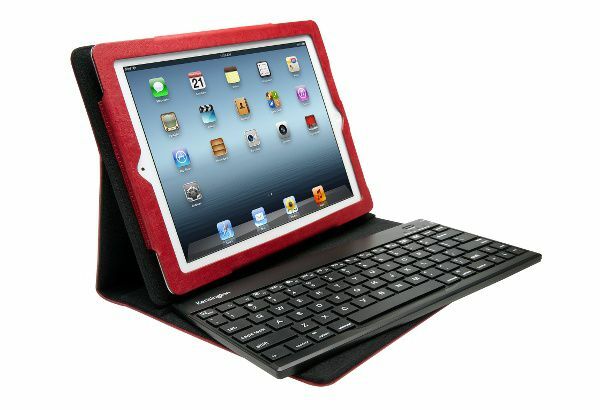 The iPad allows you to use non-native keyboards, such as Swype or the Hanx Writer keyboard. Tapping this option and then tapping Add New Keyboard will let you add a new on-screen keyboard to your iPad. You can also change your keyboard's layout from QWERTY to another layout by tapping Keyboards and tapping "English" to get to the English keyboard options. Text Replacement. This item is the old "keyboard shortcut" given a new name that better describes the feature. Text Replacement adds entries to the auto-correct library so if you frequently misspell a word and your iPad doesn't catch it, this override will fix it for you. Auto-Capitalization. By default, the iPad automatically capitalizes the first letter in a new sentence. This setting toggles that behavior. Auto-Correction. This item toggles the auto-correct tool. When the feature is active, the iPad will automatically correct common misspellings on your behalf. Check Spelling. The spell-checker reveals misspellings through red underlines under your potentially erroneous text. It's a useful toggle if you prefer to keep auto-correct disabled. Enable Caps Lock. By default, the iPad will turn off the caps key after you type in your next letter, number, or symbol. But if you double-tap the caps key, it turns on caps lock, which will allow you to type in capital letters until you shut the feature off. Shortcuts. This setting allows you turn Text Replacement on or off without wiping out all of the replacement text you may have entered. Predictive. While you type, the iPad will attempt to predict the word you are typing and display it just above the on-screen keyboard. Tapping these words will finish the typing for you. Split Keyboard. This setting splits the keyboard in half, with one side of the keyboard on one side of the display and the other side of the keyboard on the other side of the display. It is great for thumb-typing. "." Shortcut. If you tap the space bar twice in a row, the iPad will insert a period in place of the first space. Enable Dictation. Voice Dictation lets you speak to your iPad and have your words converted to text. This feature sends what you speak to Apple to be translated, so it is very accurate, but if you are concerned with privacy, you may want to turn this feature off. A shortcut allows you to type an abbreviation like "idk" and have it replaced by a longer phrase like "I don't know." Keyboard shortcuts on the iPad work in the same way as the auto-correct feature. You simply type out the shortcut and the iPad will automatically replace it with the whole phrase. When you add a new keyboard shortcut on the iPad, first type the complete phrase and then the shortcut or abbreviation you want to use for the phrase. After you insert the phrase and the shortcut typed into the appropriate spots, tap the Save button. With the Swyft keyboard, you draw words instead of tapping them. To set up a custom keyboard, you must first download one of the alternative keyboards available in the App Store. A few great options are the SwiftKey keyboard and Google's Gboard keyboard. There is even a keyboard from Grammarly that will check your grammar as you type. In the Keyboard settings, tap the Keyboard button at the top. You will get a list of available keyboards that you have installed on the iPad. Tap the keyboard you want to activate. You can remove a keyboard by tapping Edit on the custom keyboards page. The tap reveals a red circle with a minus sign next to the available keyboards. Tapping this button will remove the keyboard from the activated list. Deactivating a keyboard doesn't uninstall it. You must uninstall the app to delete the keyboard completely. The familiar QWERTY keyboard gets its name by the five letters across the top of the letter keys, and two popular variations (QWERTZ and AZERTY) get their name the same way. Change your iPad keyboard layout to either of these variations in the Keyboard Settings. Access these alternative layouts by choosing International Keyboards and then choosing English. Both of these layouts are variations of the English layout. In addition to QWERTZ and AZERTY, you can choose from other layouts like U.S. Extended or British. The QWERTZ layout is used in Central Europe, and it is sometimes known as a German layout. Its biggest difference is the exchanged placement of the Y and Z keys. The AZERTY layout is often used by French speakers in Europe. The main difference is the exchanged placement of the Q and A keys.